Fix: When using X-H1, X-T3, and X-T30, the blackout phenomenon was corrected and the stability of operation was improved. Operation stability and focus accuracy have been improved for some sigma lenses. 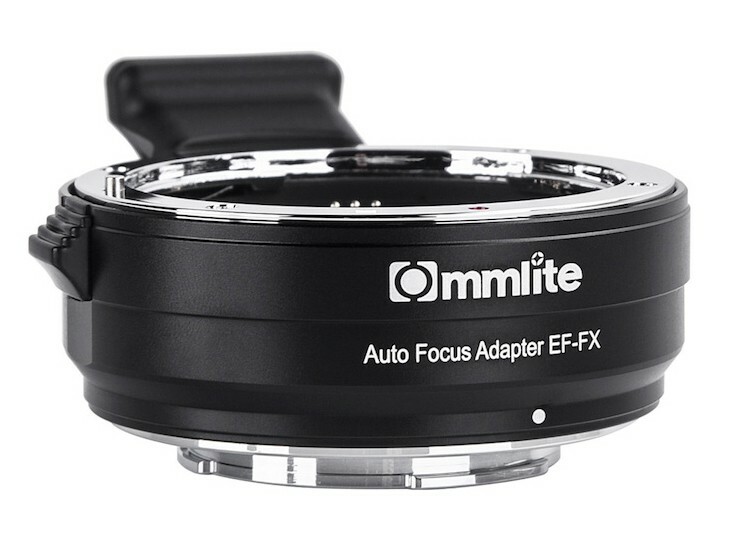 This entry was posted in 3rd Party Lens, Accessories and tagged CM-EF-FX, Commlite, Commlite CM-EF-FX, Fuji Rumors, Fujifilm, Fujifilm Rumors, FujifilmRumors, Fujirumors. Bookmark the permalink. Trackbacks are closed, but you can post a comment.